Rob caught this GREAT 65 lb. 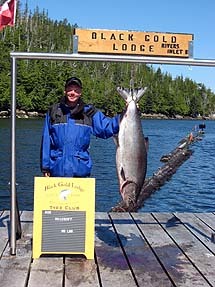 chinook on August 6th taking the lead in our annual Lodge Derby. Rob won a free trip for 2009 and has the distiction of the front cover of our 09 calander.